Stone: Occo Geode Agate. Style: Slice. At Rock Candy our goal is to ensure that you receive high quality jewelry supplies at competitive prices. Our focal beads are hand-selected to ensure consistent quality. Stone: Occo Geode Agate. You will receive the geode slice shown in the photo. Style: Slice. Crystal: Clear Quartz Crystal. Notes: Polished on both sides. At Rock Candy our goal is to ensure that you receive high quality jewelry supplies at competitive prices. 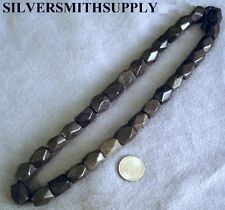 Beautiful 15" strand of natural mottled black (black to grey) serpentine faceted brick-shaped beads. This strand is not wearable. You must restring to wear. Add this strand of natural black serpentine faceted beads to your collection of beading supplies, or use it for a wonderful gift! Stone: Occo Geode Agate. Style: Slice. Crystal: Clear Rock with minor Rose Quartz Crystal. At Rock Candy our goal is to ensure that you receive high quality jewelry supplies at competitive prices. Our focal beads are hand-selected to ensure consistent quality. Stone: Occo Geode Agate. Style: Slice. Crystal: Smokey Gray Quartz Crystal. Notes: Polished on both sides. At Rock Candy our goal is to ensure that you receive high quality jewelry supplies at competitive prices. Stone: Crazy Lace Agate. Style: Cabochon. You will receive the cabochon shown in the photo. and feel of a small palm stone. Shape: Oval with Smooth Rounded Edges. At Rock Candy our goal is to ensure that you receive high quality jewelry supplies at competitive prices. Stone: Occo Geode Agate. Style: Slice. Notes: Polished on both sides. At Rock Candy our goal is to ensure that you receive high quality jewelry supplies at competitive prices. Our focal beads are hand-selected to ensure consistent quality. Item Size: 24x18mm(1x3/4"). Item Material: Window drusy. Item Color: Rainbow Titanium. US: FREE FREE. Perfect Gift! NEW unopened box. Free Swinging Pendulum. A penny is just under 19 MM approx. Stone -Brazilian Carnelian Agate. Size- 38mm x 25mm x 5mm Girdle Height- 4.2mm. Origin- Brazil. You have to see it to believe it. The arm and hand never got tired and shaky they are always accurate. We have seen many of these new stunning beads listed here. The overall quality makes you feel it is a piece of fine jewelry with high class other than a crafted component. Item Size: 14x11mm(1/2x3/8"). Item Material: Tabasco geode drusy. Item Size: 20x20mm(3/4x3/4"). Item Material: Agate druzy. Item Color: Opal Titanium. Material: Hematite (Silver Plated). Size: 4mm, Thickness: 2mm. Custom/bulk orders?. Not a problem. Custom orders may be subject to a longer handling period. Convo before placing order and we'll give you an estimate. Material: Hematite (Matte Grey). Size: 4mm, Thickness: 2mm. Custom orders may be subject to a longer handling period. Convo before placing order and we'll give you an estimate. Custom/bulk orders?. Not a problem. Stone - Pyroxene. Video will open in a new window. Girdle hieght - 3mm. Very Nice material, great for jewelry, cabbing, tumbling.Rocks may include Tree Agate, Picaso Jasper, Breciated Jasper, Red Agate, Gold Jasper, Sea Jasper, Fire Agate, Dalmation Jasper, Fancy Jasper, Bloodstone Jasper, Brazilian Agate, Green River Agate, and many more. 6 Small POLISHED Moss Agate Shapes. 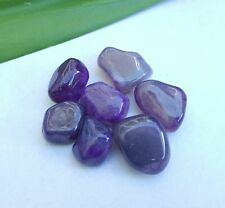 MONTANA PICTURE AGATE SHAPE CABOCHONS. APPROX SIZES AS FOLLOWS. Other Stones used in this Bracelet Ocean Jasper. Our beads/cabs are 100% natural (unless otherwise stated). We carry over hundred kinds of gems and semi-gems. We also carry our own artisan carving jewelry like ring - necklace - bracelet. Stone Apple Green Nephrite Jade. Size- 26mm x 14mm x 6.4mm Girdle Height- 3.4mm. I am also a silversmith so I have put a slight bevel on the bottoms to allow for solder flow and the girdle has been cut as even as possible for easy bezel setting. Beautiful Fire Agate Cabochon sold as pictured. Weighs 11.5cts on my scale. Price includes shipping! I have many other fire agate cabochons available. Send a message if you want to see available options! I don’t fluff up my listings! Always to the point! Blue Lace Agate Pendant has been hand wrapped in 12 gauge 925 sterling silver wire. Stone from Namibia, South Africa. Necklace Style.9mm Sterling Silver 925 Adjustable Round Chain 22". Bella Designs. You have to see it to believe it. Our beads/cabs are 100% natural (unless otherwise stated). We carry over hundred kinds of gems and semi-gems. We also carry our own artisan carving jewelry like ring - necklace - bracelet. Material: Hematite (Grey). Size: 4mm, Thickness: 2mm. Custom/bulk orders?. Not a problem. Custom orders may be subject to a longer handling period. Convo before placing order and we'll give you an estimate. Material: Hematite (Gold Plated). Size: 4mm, Thickness: 2mm. Custom/bulk orders?. Not a problem. Custom orders may be subject to a longer handling period. Convo before placing order and we'll give you an estimate. Material: Hematite (Matte Gold Plated). Size: 4mm, Thickness: 2mm. Custom orders may be subject to a longer handling period. Convo before placing order and we'll give you an estimate. Custom/bulk orders?. Stone: Occo Geode Agate. Style: Slice. Crystal: Clear Rock and Rose Quartz Crystal. At Rock Candy our goal is to ensure that you receive high quality jewelry supplies at competitive prices. Our focal beads are hand-selected to ensure consistent quality. Stone: Occo Geode Agate. Style: Slice. Crystal: Clear Rock Quartz Crystal. Notes: Small crystal point. At Rock Candy our goal is to ensure that you receive high quality jewelry supplies at competitive prices. Stone: Occo Geode Agate. Crystal: Clear Rock and Citrine Quartz Crystal. At Rock Candy our goal is to ensure that you receive high quality jewelry supplies at competitive prices. Our focal beads are hand-selected to ensure consistent quality. Stone- Sweetwater Agate. Size- 24mm x 22mm x 4.8mm. When the jade collecting got boring they'd head to the agate beds and collect Sweetwaters. I am also a silversmith so I have put a slight bevel on the bottoms to allow for solder flow and the girdle has been cut as even as possible for easy bezel setting. Stone: Occo Geode Agate. Notes: A lot going on within this occo slice. Style: Slice. Crystal: Clear and Citrine Quartz Crystal. At Rock Candy our goal is to ensure that you receive high quality jewelry supplies at competitive prices. Stone: Occo Geode Agate. Style: Slice. Crystal: Clear Quartz Crystal. Notes: Small, defined crystal point. At Rock Candy our goal is to ensure that you receive high quality jewelry supplies at competitive prices. The arm and hand never got tired and shaky they are always accurate. You have to see it to believe it. Our beads/cabs are 100% natural (unless otherwise stated). We carry over hundred kinds of gems and semi-gems. Stone: Occo Geode Agate. Crystal: Smoky Gray and Clear Quartz Crystal. At Rock Candy our goal is to ensure that you receive high quality jewelry supplies at competitive prices. Our focal beads are hand-selected to ensure consistent quality. Polished natural Agate slices w/ top drilled pendant hole. Quantity: 10 slices. Size: 32x28mm. Shape: Oval (Freeform). Style: Flat Back Cabochon. Color: Creamy White w/ Barest Peach. Notes: Well defined quartz stream flows through the middle of the cabochon. 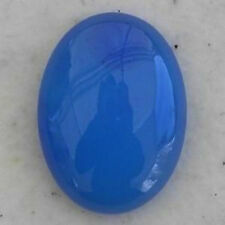 You will receive the cabochon shown in the photo.